Le Scoot getting a massive refurbishment at Busch Gardens Williamsburg. News today from Busch Gardens Williamsburg. 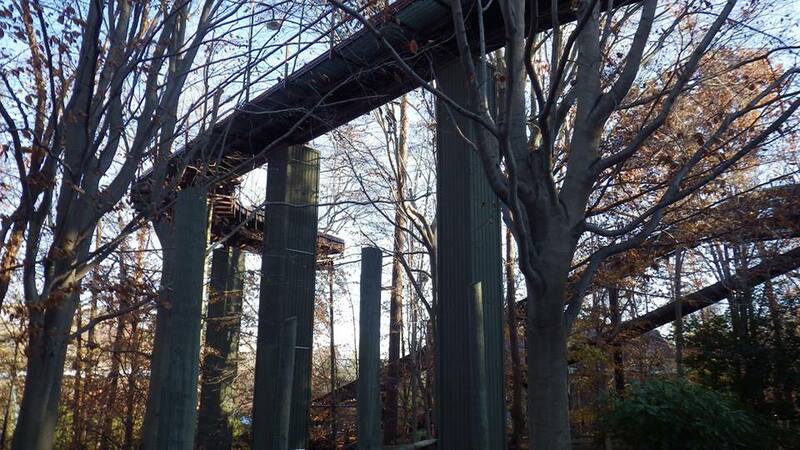 Coming from the all knowing minds over at BGW Fans (seriously, they know everything and are damn friendly folks)- we now have reports that the water flume ride, Le Scoot, will be undergoing a massive refurbishment of it's fiberglass over the winter season. The sections are being removed and trucked out of the park, it's unclear right now if the sections are being replaced with new or just being refinished. Le Scoot is one of the original rides to Busch Gardens Williamsburg which opened in 1975. It is also unclear at the moment if the attractions many special effects will also be receiving upgrades in possible preparation for the parks 40th anniversary in 2015. For more information and images, Please visit- BGW Fans.